With the continuous advancement of urbanization in China, the number of urban motor vehicles has increased exponentially, but the pressure on urban traffic and security monitoring has also increased. 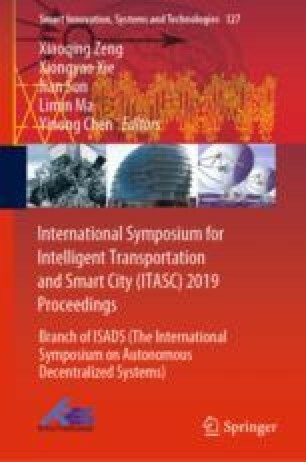 In recent years, the application of Intelligent Transportation System (ITS) has created good economic benefits for the transportation industry. Vehicle Detection and Tracking is the basis for subsequent vehicle information attribute calculation and statistical analysis of data and plays a leading role in ITS. This paper discusses the state-of-the-art detection and tracking algorithms and points out their shortcomings, and on this basis, we proposed an improved video vehicle detection and tracking model: a model based on Gaussian mixture model, Kalman filter + CAMshift + contour method. First, in the background extraction process, the Gaussian mixture model with different parameters is used for the foreground and the background to reduce the calculation cost and enhance the separation effect; For the extracted foreground, the part connecting in different vehicles is overlapped by the matching of the pits to distinguish the overlapping vehicles; In the tracking process, the results of CAMshift and contour tracking are used as observations of the Kalman filter to avoid the phenomenon that vehicles with similar color distribution characteristics and similar positions are misidentified as the same target. The experimental results show that our model has better robustness to complex road conditions, and the detection and tracking effect is better than other models.